Ippudo introduced their take in the Tantanmen last year for a limited time. 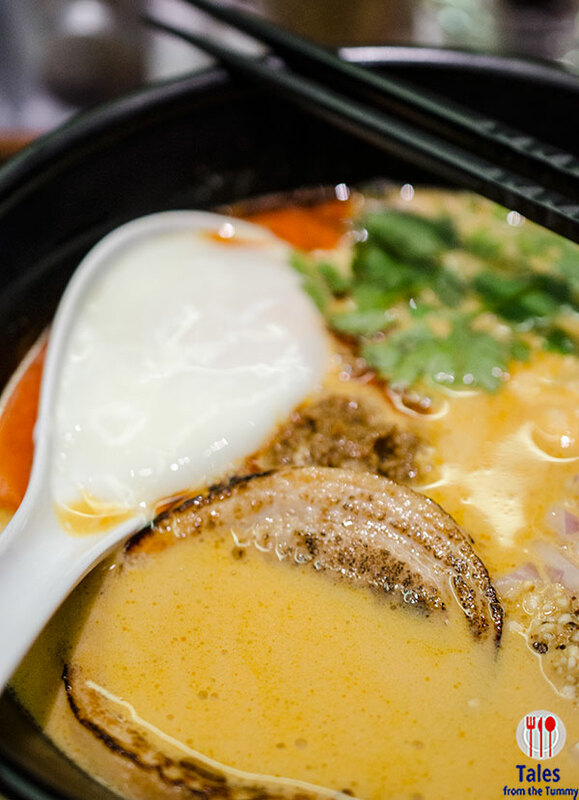 The Ippudo tantanmen (P520) features their signature tonkotsu broth with tantanmen oil added. The noodles, chewy and curly, are topped with ground pork, torched chashu, cilantro, onions, parmesan cheese and onsen tamago. Due to insistent demand by their diners, they have decided to bring it back permanently. Spice level will not be customizable anymore but instead fixed at a medium level of spiciness. I love the addition of the onsen tamago, and you should definitely mix it into the broth to add creaminess and richness together with the parmensan cheese.The cilantro is also a welcome addition, adding a lot of fragrant aroma and adds a layer of flavor to the broth. 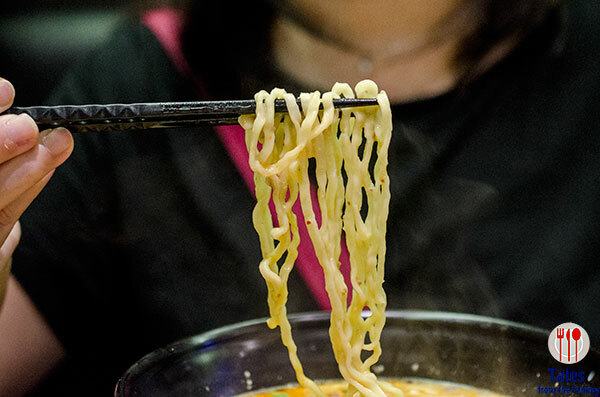 We love the bite and the chewiness of the tantanmen noodles, by far the best noodles at Ippudo. 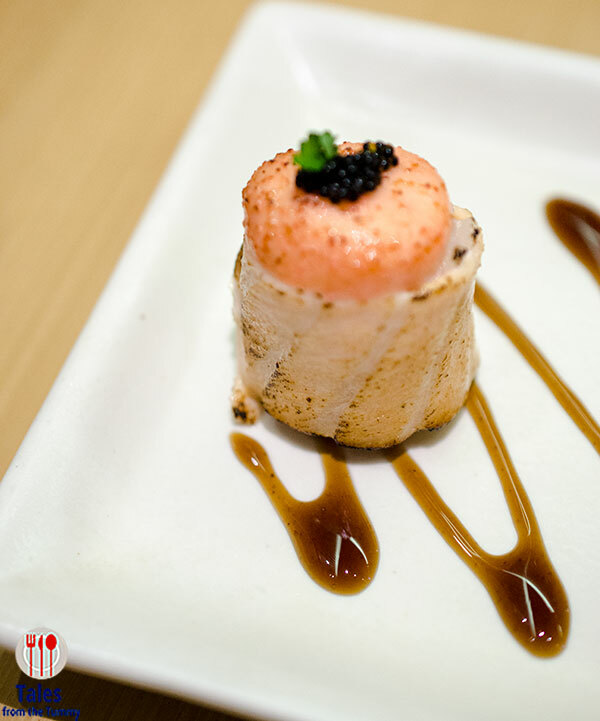 Torched Salmon Roll (P299). Not a new item but it was my first time to try this delectable sushi roll. Creamy and smoky with a slightly sweet finish, this pairs well with the tantanmen to temper some of the spice in between. 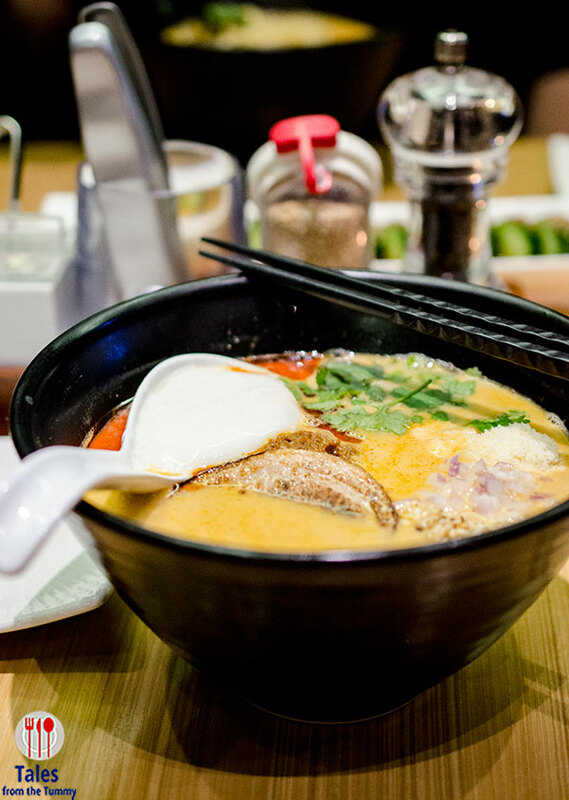 Filed Under: Restaurants Tagged With: Best ramen in Manila, Ippudo ramen, Restaurants in SM Mega Fashion Hall, Restaurants in Uptown Place BGC, tantanmen ramen restaurants.